Kevin Kuchta “Waiting for Cloudfront” Edgar Degas, 1880–82. Pastel on paper. Luke Wroblewski "how to find usability issues: look for the 'band-aids'"
Designer Challenges Himself To Create Logos With Hidden Meanings For A Year, And Result Is Amazing Inspiring. Scroll down Daniel's Instagram feed to see all the logos. Jonathan Horn "Too good not to post!" Wired Elements Web components with a hand-drawn, sketchy look. Perfect for wireframes and mockups. 2020 prediction: Monolithic applications will be back in style after people discover the drawbacks of distributed monolithic applications. I had no idea until I looked into it last weekend, but it turns out this feature is far more clever than I realized, and it’s highly unlikely that your kids or jackass drinking buddies could ever trigger it. … These timeouts escalate such that it would take over 3 hours to enter 10 incorrect passcodes. Watts and his colleagues were skeptical of that finding. The original results were based on studies that included fewer than 90 children … The researchers used a sample that was much larger—more than 900 children—and also more representative of the general population in terms of race, ethnicity, and parents’ education. The researchers also, when analyzing their test’s results, controlled for certain factors—such as the income of a child’s household—that might explain children’s ability to delay gratification and their long-term success. 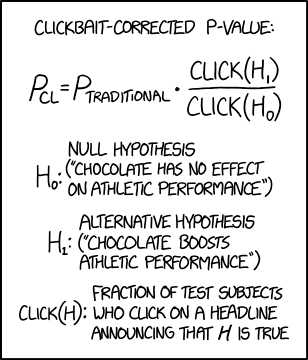 Clickbait-Corrected p-Value "When comparing hypotheses with Bayesian methods, the similar 'clickbayes factor' can account for some harder-to-quantify priors." Retweet if you don’t scream at the top of your lungs every time someone walks past your house, I’m trying to prove a point to my dog. Verifly Liability insurance for independents, and you can purchase for a single hour, day at a time, monthly. If you don't know whether you need liability insurance, you probably do, so this is your periodic reminder to look into a subject that's as fun as doing taxes. "How to handle rejection, contracts, taxes, and business negotiations"
"You will need the original layered file: An essay course in 50 parts"
More than 228,000 pounds of Spam recalled Thanks, GDPR. 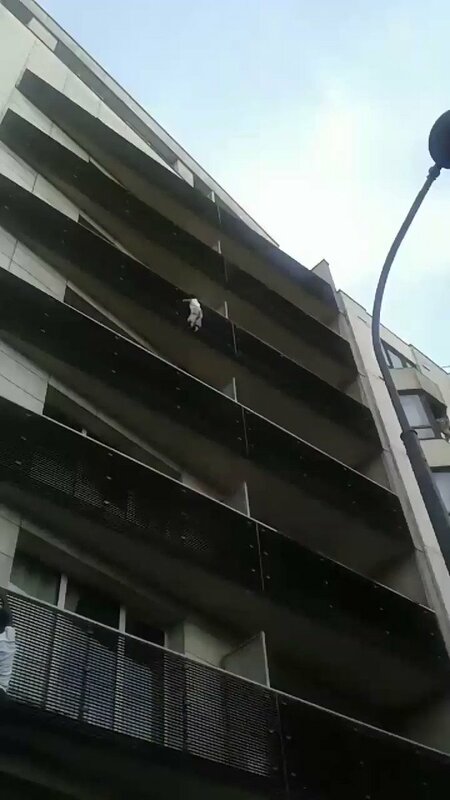 Hero climbs up outside of Paris building to save child dangling from balcony That is bonkers amazing.